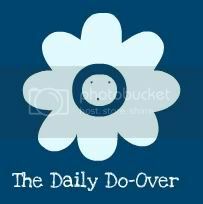 The Daily Do-Over: I am a walking example of Murphy's Law. Mountains of aggravations and annoyances. Spilled drinks on freshly washed items. Man, what a week!! I feel like everything that could go wrong HAS gone wrong. I like to think I'm a pretty tough ol' country girl, but sometimes I finally hit the wall where I.HAVE.JUST.HAD.ENOUGH. and cranking out a few fast and fun Valentine's Day Heart Pins. When my brain is totally overwhelmed, one escape mechanism I use is to put it in craft mode. That may not get rid of my house guests or wash my laundry, but it sure does put me in better spirits and allows me to blow off a little steam in a healthy, productive way.